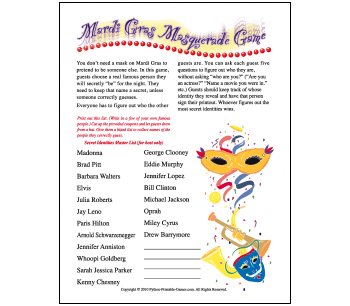 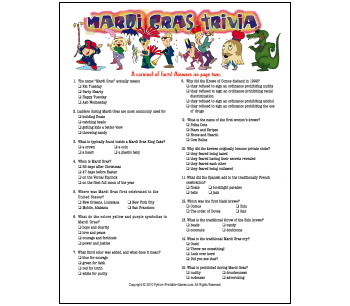 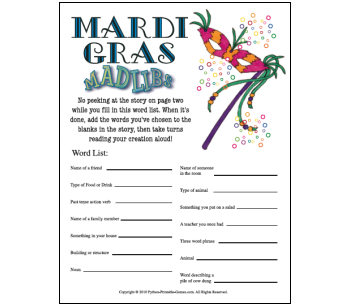 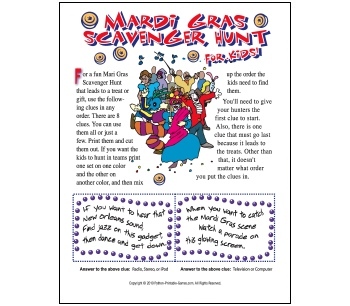 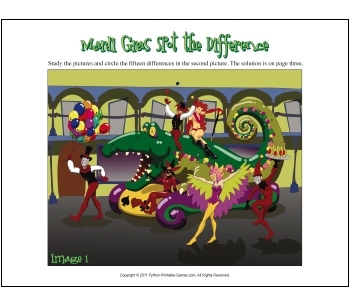 Here's a great assortment of inexpensive and fun printable Mardi Gras party games for adults and children plus printable Mardi Gras activity pages with masks and costumes - all at affordable prices. 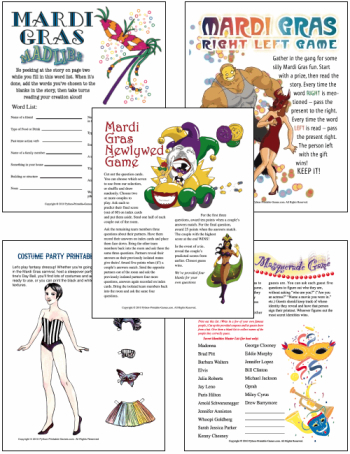 Buy the complete collection of 21 printable games for less than $20.00 and print as many as you need, forever. 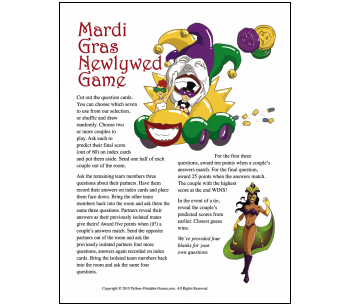 Or, buy only the games you want, and print as many game boards as you need, as often as you like!